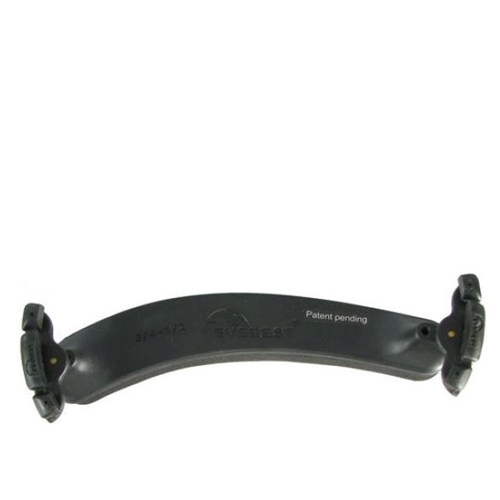 The unique computer-modeled design of the Everest shoulder rest raises the violin to an ergonomically correct and comfortable playing angle. The one piece body integrated with adjustable leg height means that there are no angle brackets or swivel mechanisms to break, and no thumb knobs to misplace. The Everest is made of a strong, high grade ABS material which provides both strength and flexibility. This Everest Shoulder Rest fits 1/2 size violins, and 12" violas.